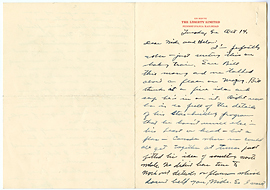 Letter from Paul Mayers to Chandler C. Anderson, March 18, 1928. 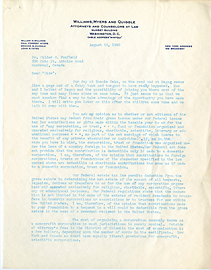 Letter from Paul Myers to Wilder Penfield, August 25, 1930. 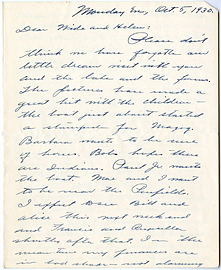 Letter from Paul Myers to Wilder Penfield, Februrary 29, 1928. 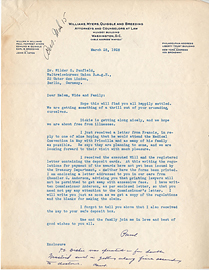 Letter from Paul Myers to Wilder Penfield, March 17, 1928. 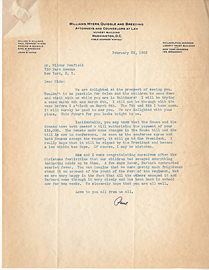 Letter from Paul Myers to Wilder Penfield, March 28, 1928. 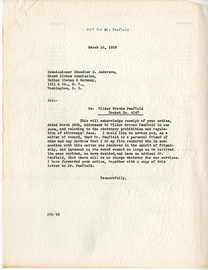 Letter from Paul Myers to Wilder Penfield, March 3, 1928. 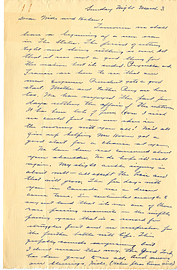 Letter from Paul Myers to Wilder Penfield, May 16, 1928. 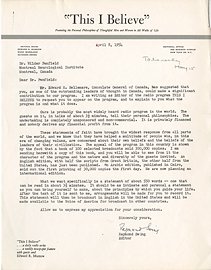 Letter from Paul Myers to Wilder Penfield, October 1, 1928. 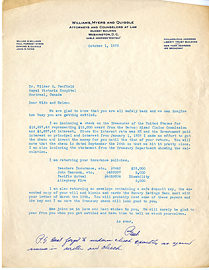 Letter from Paul Myers to Wilder Penfield, October 14, 1930. 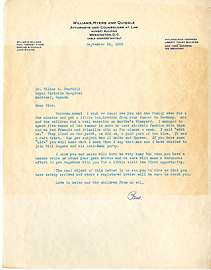 Letter from Paul Myers to Wilder Penfield, October 5, 1930. 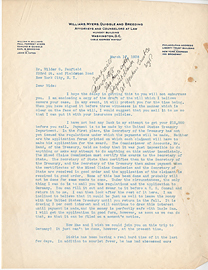 Letter from Paul Myers to Wilder Penfield, September 22, 1928. 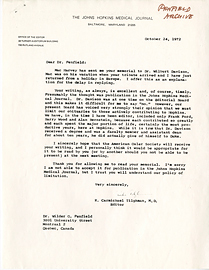 Letter from R. Carmichael Tilghman to Wilder Penfield, 24 October 1972. 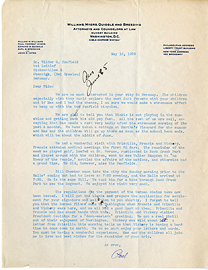 Letter from Raymond Swing to Wilder Graves Penfield, April 8, 1954. 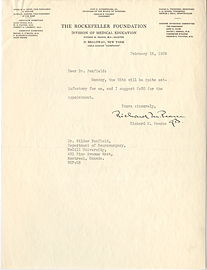 Letter from Richard M. Pearce to Wilder Penfield, February 1, 1929. 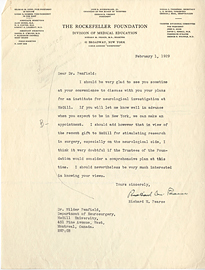 Letter from Richard M. Pearce to Wilder Penfield, February 18, 1929.